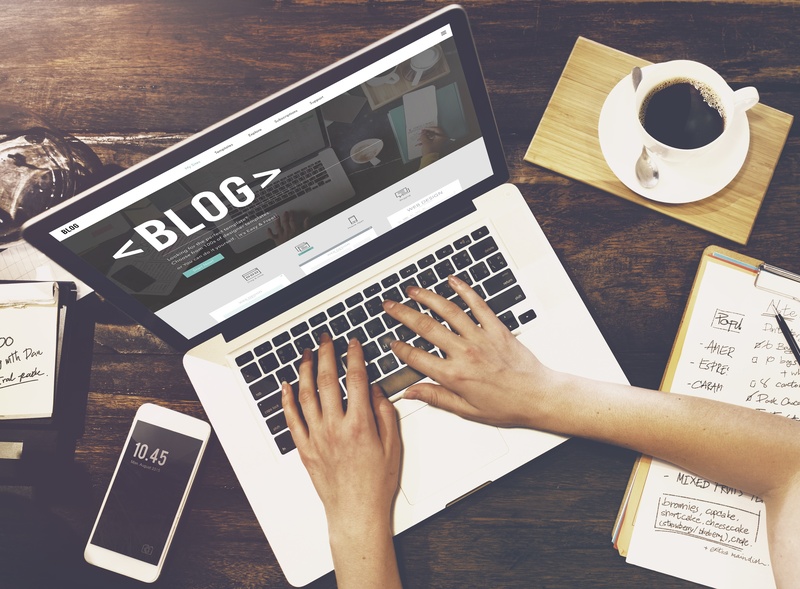 As inbound marketers, we know the importance of incorporating blogging into a content marketing strategy. Studies show that 53% of marketers say blog content creation is their top inbound marketing priority (HubSpot, 2017). You know the importance of blogging as well - you’ve done the research into starting a blog and now you’re ready to write your first post. The question is, how long should you make your blog posts? A quick Google search on the topic will show you the general consensus among experts is the best length for a blog post is as long as it needs to be to get your point across.If you’re anything like me, having such a vague answer to a question when you're looking to start a company blog is frustrating, so let’s try to break that answer down a little further. Here at i5 Web Design, we try not to rely on word counts alone when it comes to our blogging strategy. Instead, we focus on creating content and topics that provide useful and relevant information to readers in every stage of the buyer’s journey and then try to base the length of our blogs off of these stages. Once you have determined a blog topic, you should be able to figure out where your target persona would be in the sales funnel when searching for that particular topic. Each example blog topic caters to a different stage in the sales process, so each blog topic should have a different length. The first topic dealing with the pros and cons of different window treatments is tailored toward a shopper in the top of the sales funnel. This shopper hasn’t decided which window treatment is right for them, so they are researching their options. Your blog post is the answer to a very broad query they presented to the internet and is merely informational. While you could incorporate infographics and photos into this post to increase length, this blog overall would be on the shorter end of posts at around 700-1,000 words. With the average person reading around 300 words per minute, this post should take someone around 2-3 minutes to read. Since consumers at the top of the funnel are merely researching and browsing, the goal with these blogs are to just provide information and help them out in their search. In our example, your second blog topic would discuss the different styles of shutters and would cater to a consumer in the middle of the sales funnel. These shoppers have already decided that window shutters are their best option for a window treatment and now are looking to learn more about their window shutter options. This post should provide more detailed information about the solution to the problem - which in this example is window shutters - and so should be slightly longer than the first article. Aim to have these posts be around 1,500 words and take about 5 minutes to read. Your goal is to still be informational but slightly more detailed and more specific to your company’s topic. The final topic in our example, specific products your company uses in its window shutters, is geared towards readers who are in the bottom of the sales funnel. With any blog, your goal should be to not only produce relevant information and content, but also to generate leads for your business by providing value to readers (and hopefully, eventual customers). This topic offers a chance for you to convert these readers into customers while still providing them useful information relevant to their search. Posts like these should be on the longer side - around 2,000-2,500 words. Readers are clearly searching for more specific information on a topic at this point and will be willing to spend 7-9 minutes reading your blog. You want to establish yourself as an expert on the topic and provide the reader with detailed information about your topic while still giving them value that can be used outside of your company. Remember, your blog is a part of your sales toolkit; you want to pull customers in with your information, not push them away with overly sales driven language. So, How Long Should My Blog Be? When it comes to blog length, there is no exact right number of words or length of post. Most blog posts fall between 1,000 and 2,000 words, but if your post is longer or shorter, it’s okay! Instead of targeting an exact word count, focus on creating posts that provide value to each reader in each stage of the buyer’s journey. Use the word counts as guidelines, but don’t let your post length be a roadblock to your goal of providing useful and relevant content to your readers. Want to work on incorporating your company's blog into a part of your overall marketing strategy? Request a free Marketing Assessment today to get some tips and ideas!